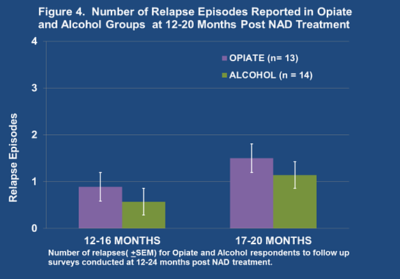 The use of intravenous NAD+ and supplements that boost NAD+ levels has been nothing short of ground breaking when treating addictive behaviour’s (including alcohol, opiates, amphetamine and gambling). NAD+ Therapy has been widely described as a disruptive, game changing new modality of treatment by some of the most experienced rehabilitation therapists worldwide. 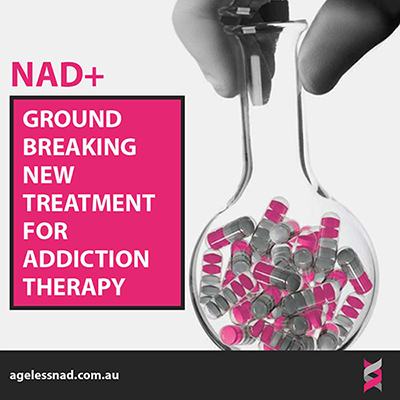 Ageless NAD+ clinics are proud to be providing a much needed option for treating addictions at a time when latest figures show substance abuse is effecting a wider (and older) social demographic and claiming more lives than ever before in Australia. Ageless NAD+ Clinics are passionate about helping all Australians live a healthy and disease/ addiction free life. By introducing NAD+ Intravenous treatments we hope to enable clients to live a life that is free from addiction and at the same time help prevent chronic illness by helping your cells function more efficiently allowing your brain to operate at an optimum level. 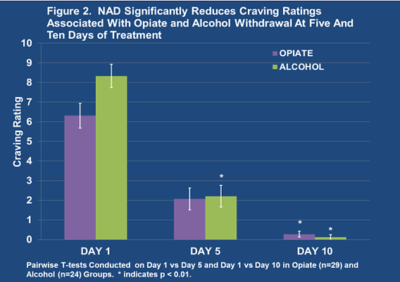 Offering a real alternative from using a drug (benzo’s or opiate mimics) that create a whole new set of addiction issues, combining exercise and smart recovery options in conjunction with targeted psychological interventions, Ageless NAD+ are hoping to offer a cutting edge method of breaking the addiction cycle for good. Bookings for a addiction assessment or the 5 and 10 day treatment program can be made below. First and foremost, Ageless NAD is an outpatient rehabilitation service for clients who are making the biggest decision they will ever make... "How do I beat this addiction and take back full control of my life?" Secondly (unlike almost all other rehabilitation clinics) Ageless NAD+ does not swap one additive drug or medication for another. It uses the groundbreaking unique prioperties of NAD+ infusions to rebalance brain chemistry, stabilise mood, increase mental and physical energy and over a 7 – 14 day period, assist in removing cravings altogether. Alcohol is by far Australian’s drug of choice. Easy to access and affordable it is engrained into our society and offered at most social and family gatherings. It is hard to avoid. Over use of alcohol is wide spread in Australia. Alcohol can easily become a problem when we reach for a drink to relax or as a way of coping with our busy and stressful daily lives. Needing to drink more to get the same effect can lead to alcohol dependence and is one of the first signs that you may need help. A simple liver function (LFT) blood test at your local doctor will indicate if you need to reduce your drinking. You don’t need to be addicted to alcohol to seek help. Reducing your drinking will reduce your risk of serious illness. Once you have reached a decision to reduce, or stop drinking alcohol, you will need help.